Are China's Market Moves Hurting Your 401 (k)? Is the Chinese Stock Market Hurting Your 401 (k)? The last few weeks have been a rollercoaster ride for stocks in China, making American investors nervous as well. Chinese markets have stabilized over the past few days, the Shanghai Composite Index is up more than 13% since last Wednesday, but still down more than 20% from its June high. Many Wall Street analysts expect the volatility — which had a large spillover effect on U.S. stocks – to continue. When you consider that China is the world’s second largest economy, and one of largest importers of commodities like crude oil and copper, let alone the fact that China has surpassed the U.S. in Iphone sales, it’s easy to understand why U.S. investors got scared when they saw the dramatic sell-off in Chinese stocks last week. What’s important to remember, however, is that unlike the U.S. stock market, Chinese stocks are not closely aligned with what’s happening in the overall economy. 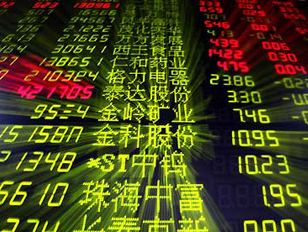 First of all, only 9% of Chinese households actively invest in Chinese stocks. Compare that to the U.S., where the Federal Reserve says nearly half of American households have direct or indirect ownership of stock through a pension or 401 (k). “Chinese stock activity is largely confined to wealthy speculators,â€ says Art Hogan, Managing Director and Chief Market Strategist at Wunderlich Securities.Â “It’s a young market.Â In the U.S., for example, the average holding period for a stock is 18 months.Â In China, it’s 8 days. Â Also, if you saw the huge swings that we’ve seen in China’s market here, you’d know that something was going on in our economy.Â That’s simply not the case there,â€ adds Hogan. In addition, the Chinese government goes to extremes to protect the stock markets.Â During last week’s sell off, for example, they allowed half of all listed companies to simply stop their shares from trading.Â The China Securities Regulatory Commission also banned major shareholders, corporate executives, and directors from selling stocks for 6 months.Â In addition, the government increased loans to small investors so that they could buy stocks — a practice that’s very common in China. While Chinese markets are not making a negative statement about the economy for now, it is important to watch how developments affect consumer sentiment.Â If people become nervous and cutback on their spending, that would hurt growth. For the moment, the biggest worry U.S. stock holders seem to have when it comes to China is our own tendency to panic.Â Â Always remember, you haven’t lost a penny until you sell.